Glacier number, area, and volume estimates come from a variety of sources. Detailed regional information is available in the United States Geological Survey (USGS) satellite atlas of Williams and Ferrigno (1988), with 11 volumes covering different parts of the world. These volumes have been released gradually across the period 1988-2010, and the series is now nearly complete. Dy-urgerov and Meier (2005) estimate the global glacier count to be 160,000, of which about 123,000 have some amount of archived information in the World Glacier Inventory. The number of glaciers is understood to be considerably larger than this, however, as thousands of small ice masses are uncounted; estimates from 200,000 to 400,000 have been suggested. It can be assumed that there at least 200,000 glaciers worldwide. Antarctica (Volume B, 1988, after Drewry et al., 1982). Berthier, E., E. Schiefer, G.K.C. Clarke, B. Menounos, and F. Remy (2010). Contribution of Alaskan glaciers to sea-level rise derived from satellite imagery. Nature Geoscience, 3 (2), 92-95. Dowdesell, J.A., and J.O. Hagen (2004). Arctic glaciers and ice caps. In: Mass Balance of the Cryosphere (J.L. Bamber and A.J. Payne, eds.). Cambridge University Press, Cambridge, UK, pp. 527-557. Drewry, D.J., S.R. Jordan, and E. Jankowski (1982). Measured properties of the Antarctic ice sheet: Surface configuration, ice thickness, volume, and bedrock characteristics. Annals of Glaciology, 3, 83-91. Dyurgerov, M.B., and C.L. Carter (2004). Observational evidence of increases in freshwater inflow to the Arctic Ocean. Arctic, Antarctic, and Alpine Research, 36 (1), 117-122. Dyurgerov, M.B., and M.F. Meier (2005). Glaciers and the Changing Earth System: A 2004 Snapshot. INSTAAR Occasional Paper 58. Institute of Arctic and Alpine Research, University of Colorado, Boulder, CO, 118 pp. Radic, V., and R. Hock (2010). Regional and global volumes of glaciers derived from statistical upscaling of glacier inventory data. Journal of Geophysical Research, 115 (F01010), doi:10.1029/2009JF001373. Shumskiy, P.A. (1969). Glaciation. In: Atlas of Antarctica, Vol. 2 (E. Tolstikov, ed.). Hydrometeoizdat, Leningrad, pp. 367-400. World Glacier Monitoring—Prospects and Strategies. A contribution to the IHP and the GEMS (W. Haeberli, M. Hoelzle, and S. Suter, eds.). Prepared by the World Glacier Monitoring Service. UNESCO Publishing, Paris, France, pp. 197-207. Williams, R.S., Jr., and J.G. Ferrigno, eds. (1988). Satellite Image Atlas of Glaciers of the World. U.S. Geological Survey Professional Paper 1386, Volumes A-K. U.S. Geological Survey. Estimates of ice volume and sea level equivalence for the Greenland and Antarctic ice sheets are from Bamber et al. (2001) and Lythe et al. (2001), respectively. West Antarctic values are updated based on Bamber et al. (2009). An update of Antarctic ice thickness and bedrock topography will soon be available from the BEDMAP2 project. Estimates of the fraction of each ice sheet grounded below sea level are also from these data sets. Bamber, J.L., R.E.M. Riva, B.L.A. Vermeersen, and A.M. Le-Brocq (2009). Reassessment of the potential sea-ievel rise from a collapse of the West Antarctic Ice Sheet. Science, 324 (5929), 901-903. Volume estimates for mountain glaciers and polar ice caps are from Dyurgerov and Meier (2005), Radic and Hock (2010), and the sources listed below. Values in table 6.1 are averaged from this compilation of sources, with icefields of the Antarctic Peninsula added in. I adopt an ice volume of 0.095 km3 (0.24 msl) for the Antarctic Peninsula, from Bamber et al. (2009). Dyurgerov, M.B. (2002, updated 2005). Glacier Mass Balance and Regime: Data of Measurements and Analysis (M. Meier and R. Armstrong, eds.). INSTAAR Occasional Paper 55. Institute of Arctic and Alpine Research, University of Colorado, Boulder, CO.
Ohmura, A. (2004). Cryosphere during the twentieth century. In: The State of the Planet: Frontiers and Challenges in Geophysics (R.S.J. Sparks and C.J. Hawkesworth, eds.). Geophysical Monograph 150. International Union of Geodesy and Geophysics, Boulder, CO, and American Geophysical Union, Washington, DC, pp. 239-257. Raper, S.C.B., and R.J. Braithwaite (2005). The potential for sea level rise: New estimates from glacier and ice cap area and volume distribution. Geophysical Research Letters, 32 (L05502), doi:10.1029/2004GL021981. Recent area changes for glaciers in the Alps and in western Canada are from Paul et al. (2004) and Bolch et al. (2010) (see chapter 3), respectively. Paul, F., A. Kaab, M. Maisch, T. Kellenberger, and W. Haeberli (2004) . Rapid disintegration of Alpine glaciers observed with satellite data. Geophysical Research Letters, 31 (L21402), doi:10.1029/2004GL020816. Papers discussing ENSO influences on glacier mass balance in western North America include Bitz and Battisti (1999) and Hodge et al. (1999). Nesje et al. (2000) examine the influence of the North Atlantic Oscillation on Scandinavian glaciers. Oerlemans (1992, 1997) discusses the climate sensitivity of glaciers in Norway and New Zealand. Marshall et al. (2011) consider glaciers in the Canadian Rockies. Bitz, C.M., and D.S. Battisti (1999). Interannual to decadal variability in climate and the glacier mass balance in Washington, Western Canada, and Alaska. Journal of Climate, 12, 3181-3196. Hodge, S.M., D.C. Trabant, R.M. Krimmel, T.A. Heinrichs, R.S. March, and E.G. Josberger. (1999). Climate variations and changes in mass of three glaciers in western North America. Journal of Climate, 11 (9), 2161-2179. Marshall, S.J., E.C. White, M.N. Demuth, T. Bolch, R. Wheate, B. Menounos, M. Beedle, and J.M. Shea (2011). Glacier water resources on the eastern slopes of the Canadian Rocky Mountains. Canadian Water Resources Journal, 36 (2), 109-134. Nesje, A., 0. Lie, and S.O. Dahl (2000). Is the North Atlantic Oscillation reflected in Scandinavian glacier mass balance records? Journal of Quaternary Science, 15 (6), 587-601. Nigardsbreen, Hellstugubreen and Alfolbreen. journal of Glaciology, 38 (129), 223-232. Oerlemans, J. (1997). Climate sensitivity of Franz Joseph Glacier, New Zealand, as revealed by numerical modelling. Arctic and Alpine Research, 29, 233-239. Duval, P. (1981). 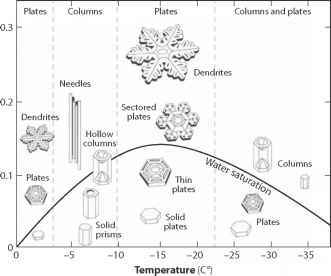 Creep and fabrics of polycrystalline ice under shear and compression. Journal of Glaciology, 27, 129-140. Glen, J.W. (1955). The creep of polycrystalline ice. Proceedings of the Royal Society of London, Series A, 228, 519-538. Nye, J.F. (1953). The flow law of ice from measurements in glacier tunnels, laboratory experiments, and the Jungfraufirn borehole experiment. Proceedings of the Royal Society of London, Series A, 219, 477-489. Nye, J.F. (1957). The distribution of stress and velocity in glaciers and ice sheets. Proceedings of the Royal Society of London, Series A, 275, 87-112.